Blame Kacey Musgraves for making us want our space, cowboy, or blame the onslaught of leopard print for prompting an itch for change. Whatever. Cow print is here, it’s a trend, and you’d better hop on it now before the fashion and beauty world moves on to another animal. Rather than buying a new dress or investing in a cowboy hat, we’d recommend going for a manicure. 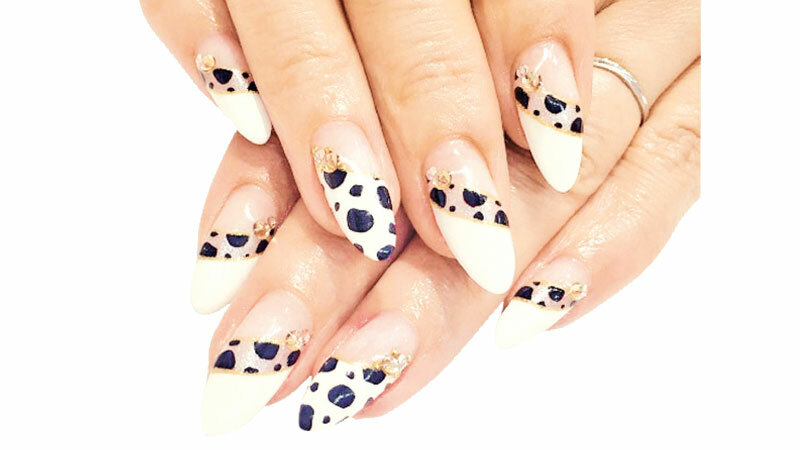 It’s the easier, cheaper option; ideal if cow print turns out to be more of a passing trend, and Ariana Grande is on board, sharing a photo of a cow printed thumbnail on her Instagram stories recently. 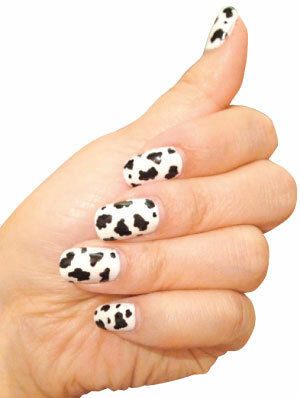 If you fancy trying out cow print nails for yourself, you’re in luck – here is a quick and easy guide. 2. Apply two coats of white polish. 3. Apply brown splotches with a striper.